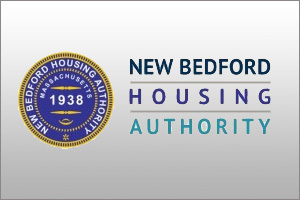 The New Bedford Housing Authority has established a Procurement Office within its Administrative organization. The Procurement Office is managed by the New Bedford Housing Authority’s Chief Procurement Officer, who is appointed by the New Bedford Housing Authority’s Board of Commissioner’s pursuant to M.G.L. c. 30B, and is responsible for the procurement of supplies and services on behalf of the New Bedford Housing Authority. It is the responsibility of the Chief Procurement Officer to secure quality goods and services while promoting fair competition and competitive pricing. All New Bedford Housing Authority departments are subject to state procurement laws, inclusive but not limited to, M.G.L. c. 30B, c. 7C, ßß 44-57, c. 30, ß 39M and c. 149, and the U.S. Dept. of H.U.D. 7460.8 REV2 and 24 CFR Part 85 each where applicable and as amended and are responsible for meeting all requirements. All departments must follow all procurement policies and procedures as established by the New Bedford Housing Authority’s Board of Commissioners (Governing Body), Executive Director (Contract Officer), and the Chief Procurement Officer. A Request for Proposals (RFP) issued by any New Bedford Housing Authority department must receive the prior approval of the Chief Procurement Officer pursuant to G.L. c. 30B, section 6. The Chief Procurement Officer provides internal support to monitor purchases and ensure procurement practices are in compliance with applicable law(s). The Chief Procurement Officer is available to provide guidance and procurement assistance to all New Bedford Housing Authority departments, in the development and solicitation of public bids and proposals through quotes, the Invitation for Bid (IFB) and Request for Proposal (RFP) process for the procurement of goods and services, contract administration, and monitoring of invoices which follow the contract award.